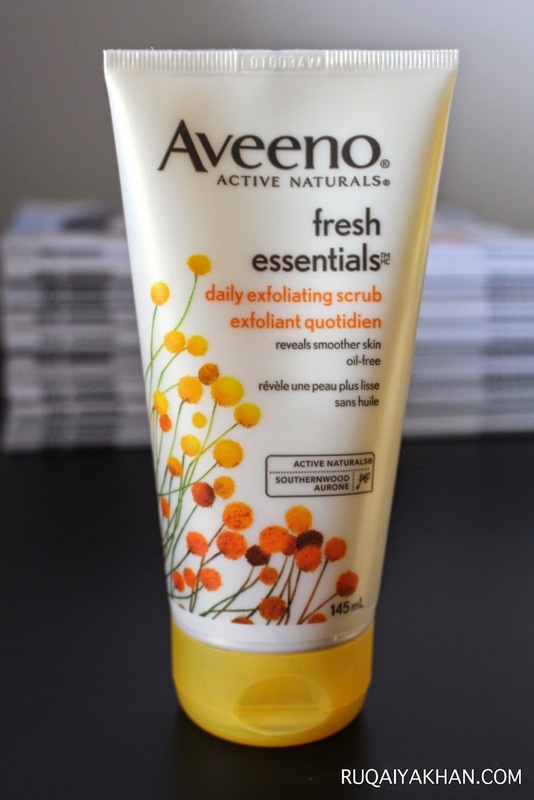 I am a huge fan of Aveeno's body lotions and eczema relief products, so I was very excited to try out the Fresh Essentials product line. These products are formulated with innovative Active Naturals technology that protects facial skin from environmental stressors and nourishes skin with antioxidants from Southernwood extract and vitamins A, C and E.
I have been using these for about a week now and I really wanted to share my first impressions with you guys. This scrub has a great texture for daily use. I extremely dislike scrubs with big grains that scratch skin and cause redness. This one has very fine grains and the texture feels almost like wet sand. Its very gentle yet it works. It is enriched with coconut pulp to remove dead skin and polishes pores to remove impurities. I also used it in place of my facial wash and it works great as an exfoliating wash. I am always looking for a good sun protector and this one has the SPF 30 which is great. Its quite a thick formulation for me, especially for day time use. It does appear a bit whitish, initially but gets completely unnoticeable when absorbed. I also use it to prime the face for foundation. I am all about powder foundations, lately, and having a SPF 30 moisturizer underneath is amazing. It did not clog my pores or break me out. This is scented with the same fruity-floral fragrance as the other products in this line. This night cream keeps skin hydrated all night long and fortifies skin's moisture barrier to help resist daily dehydration. My skin stays soft and smooth till morning and I totally like that. The texture of this night cream is a bit light and fluffy, so its easy to apply more of it. However, I definitely need nothing more than a pea sized amount for my entire face. I like that it keeps skin moisturized and does not break me out. Even though, I have only used these for a week, but let me tell you, that my skincare products have to work right from the first time. I do not take chances with my skin, especially since, my skin is a lot more sensitive lately, than it has ever been. I feel that these products did not clog my pores, nor did they break me out. So a two thumbs up for that. They are non comedogenic, hypoallergenic and oil free. 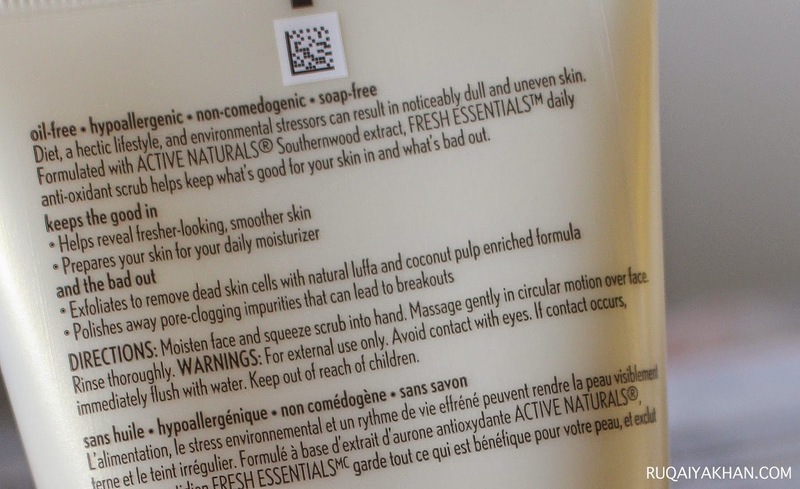 I find them to be gentle enough for daily use and they are all paraben free!! Yeay!! I really like Aveeno products because they are formulated with amazing natural ingredients and work wonders for all skin types. I also really like the packaging of these products. The Hydrating Night Cream and the Daily Nourishing Moisturizer come in a boxed packaging, which is so spring inspired and just makes it look luxe.